If you don’t subscribe to Writer’s Digest Magazine, you should. It’s one of the few things I really think is essential to all writers. I’ve had a subscription for over ten years, and just renewed it for another two. I think this is probably the thing I see the most in stories by new writers. I know I was certainly guilty of it back in the day. I think it happens because agents make having an “Original Voice” such a big deal. New writers try so hard to have a unique voice that they overdo it. In fact, Mr. Brooks advises all writers to try to write “crisply and cleanly.” To some extent, I agree with him. 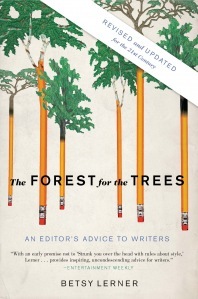 It’s important that you not bog down your prose, that you not try to make it like poetry. It’s not poetry, people. Unless you’re writing a certain style of literary fiction, trying to make your fiction like poetry will probably get you rejected. However, I do think that you need to have a strong “character voice.” By that I mean that the personality of the character has to shine through your writing. We have to see the world through the character’s eyes to connect with him, to fall in love with him. If you can’t do that, you’ll get rejected as well. The line between too much voice and too little is very fine, so fine that it can be very difficult to find a voice for you writing. What do you think? Do you have any helpful words of wisdom for mastering voice in your writing? Saturday Poll: What is the Hardest Part of Writing for You? So I have a confession to make. Ever since I was little, maybe three or four, I’ve had really intense, very vivid, very frequent nightmares. I do have regular dreams as well, but they are always crystal-clear, like mini-movies in my head. The best way for me to break into the writing scene would be as a horror writer. The short story I wrote for the competition was from a nightmare I had two weeks ago. I would have an abundance of material. Except, I have to go through it every single night and I find I don’t want to relive it as a writer every day. Some of my earliest memories are of the nightmares I used to have. When I was younger, I spent many, many nights afraid to go to sleep. I still have them, but they don’t bother me as much now as they used to, although I still occasionally wake up in a state of terror. Let me tell you, the dream that sparked the short story idea was pretty tame compared to some of the others I’ve had. I’ve been told it’s a by-product of my extremely imaginative mind. That it’s a blessing and I should be grateful. Although, as a kid, it felt a lot more like a curse than a blessing. I guess occasionally it’s useful, as the novel I am starting is based on a dream I had. But I just don’t think I have it in me to be a horror writer. What about you? Where do you get your ideas? I’m a Finalist in the Short Story Competition! YAY!! If any of my campaigner friends want to vote for me, I’ll love you forever! If anyone missed my story, you can read it here. The first section describes various ways writers can sabotage themselves, and ways to become conscious of the some of the bad decisions we might make and how to work around them. The second half shines a light on the actual business of publishing. It was fascinating, funny, and heartbreaking at times. I checked it out from the library but will definitely be buying a copy. The one most important piece of advice I took away from this book? Writers who never give up are the ones who get published. Thank you, Ms. Lerner, for strengthening my resolve to never give up. I have to admit, a few weeks ago it was wavering, but not anymore! Wow! I never fail to get a little thrill when someone writes those words: “I’ve nominated you for a blog award!” When I first started writing this blog, I wasn’t sure what kind of reception I would get. I only knew that I had acquired a bunch of knowledge over the last 4 or 5 years that I had been writing and that I wanted to share it with other writers, the ones like me, slogging away every day, reaching for a dream that at times seems unreachable. I hoped that in some small way, what I might have to say would be encouraging or helpful. Every time one my readers nominates me for an award, or leaves a thoughtful comment, or “likes” one of my posts, I feel grateful that you have enjoyed something I’ve written. Thank you, all my readers. And now, on to the awards! Thank you very much, Jenny, for the 7×7 Award and the Liebster Blog Award! And congratulations for receiving them yourself! Please check out Jenny’s blog. It’s full of interesting posts and observations! 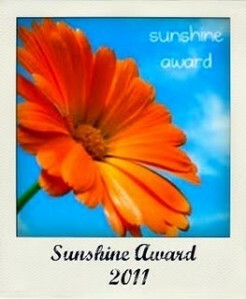 And thank you, Peggy, for the Sunshine Award! Your kind words made my day and you definitely deserved to receive the award as well. Thank you! And everyone, please check out her blog. As I’ve already received the 7×7 award, please check out my acceptance post here. Pass it along to ten people and let them know they received the award. Reveal your top 5 picks for the award and let them know by leaving them a comment on their blog. Most of all – have fun and spread the karma. Favorite color: I love all colors except black and brown. Favorite non-alcoholic drink: Water. It’s pretty much all I drink. Twitter or Facebook: Facebook. I’m not entirely sure I have Twitter figured out. It makes me uncomfortable. Passion:Reading, reading, reading. Writing, writing, writing. And my family. Favorite pattern: Polka dots! They’re so exuberant! Favorite day of the week: Friday. You have the entire weekend spread in front of you, just waiting to be enjoyed. Favorite flower: Old-fashioned roses, but only on the bush, never cut. On to the recipients of the awards! I’m going to list five blogs, total. I’m sorry I can’t do more, but my son is getting his very last molar in and woke up crying an incredible eight (EIGHT!) times last night. Please excuse any typos for the same reason! It was all I could do to keep from falling asleep on my desk as I wrote this today. If I list you, pick whichever of the three awards you would rather have, and pass it on! 1. Novelisthq– A blog that focus specifically on writing for the sci-fi Genre. Definitely worth a look. 2. Misprinted Pages: Musings on Books and Writing– Stephanie has great book reviews on her site! If you’re looking for a good book, check out her blog! 3. Lake Superior Spirit: Blogging from the Upper Peninsula North Woods– A great blog from a fellow North Woods woman! Her thoughtful posts on writing and life are very refreshing! 4. Her-Story-Calls: Quill Bending Writers Blabbing About All Things Historical, Future, and Modern– A great writing blog written by multiple authors. I always find something interesting to read here! 5. Lynda R. Young, Author W.I.P. It: a Writer’s Journey– A great blog that has helpful tips for both fiction writing and writing for your blog! Definitely worth a visit! Stephanie with her sci-fi/fantasy novel! Yay, Stephanie! I’ll be contacting you later today via email to discuss the details with you! 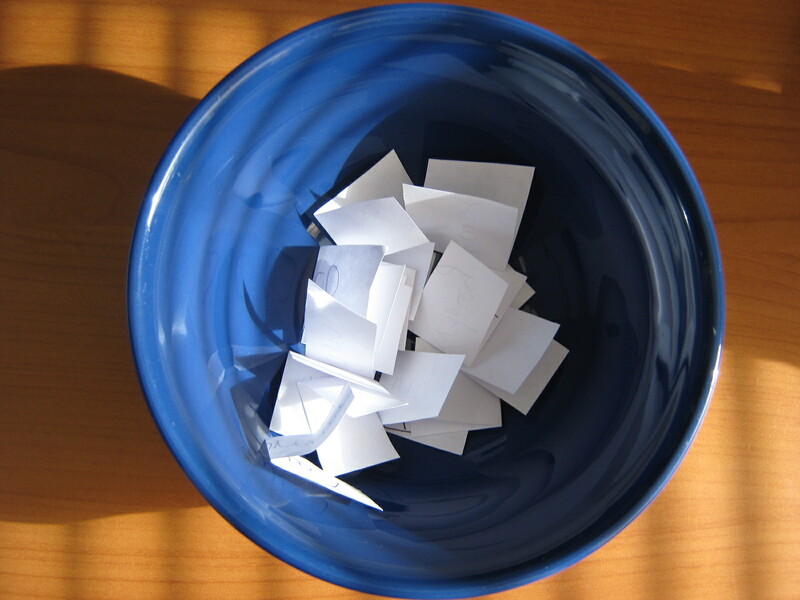 For everyone else who entered, if you sent me an attachment with the first chapter of your novel, it will be deleted unread. If you weren’t chosen, don’t worry. I’ll definitely be running this contest again sometime in the future. I love editing and giving critiques. I’d take on more critique partners if I didn’t have to get my own work done first! I would like to say that if anyone is interested, I could use a couple of beta readers. If you don’t know, a beta reader is someone who reads a novel and then offers opinions on plot, characterization, etc. It isn’t an edit, or fixing typos, or anything like that. I’m specifically looking for someone who reads a lot of YA, as that’s mainly what I write. Let me know if you’re interested! I’m especially be interested in who your favorite YA authors are and what type of YA you most like to read! Let me know!